There are several ways you can achieve registration to practise as a GP. We deliver the most common path to GP registration: the Australian General Practice Training (AGPT) program. Visit our pages on the General Pathway and the Rural Pathway to learn more about the two options for completing the AGPT program. If you’re the doctor who likes every rotation that you do, and everything seems interesting, you should be a GP because general practice is the only place where you can do a little bit of everything. Explainer: What is the AGPT program? At GPTQ, we deliver the AGPT program. To participate in the AGPT program, you need to follow the application process for becoming a GP. This differs slightly for Australian Defence Force doctors, joint applicants and doctors on 457 visas. We also welcome Queensland Health Rural Generalist doctors into our program. These doctors train via the Rural Pathway. The Australian General Practice Training (AGPT) program is a world-class vocational training program for medical graduates wishing to pursue a career in general practice in Australia. It’s our country’s leading and most widely used training program for doctors seeking a career as a GP. The program provides vocational training in general practices, hospitals and Aboriginal Medical Services. There are different learning experiences including in-practice learning, small group training and online modules. The program enables registrars to build their general practice knowledge and achieve GP registration. The AGPT program is funded by the Australian Government and delivered by regional training organisations (RTOs), including GPTQ. The program enables registrars to achieve GP fellowship. To become a GP and be vocationally registered under the Medicare system, you must complete a fellowship of one of the two GP colleges: The Royal Australian College of General Practitioners (RACGP) and/or the Australian College of Rural and Remote Medicine (ACRRM). The General Pathway: Registrars on the General Pathway may train anywhere across our region. The Rural Pathway: This option means you train in regional, rural and remote locations. Such locations often have a high demand for GPs, and the Australian Government actively encourages registrars to pursue this pathway. There are many excellent reasons to train via the Rural Pathway and we urge applicants to seriously consider this option. While the pathway affects where you can train, it doesn’t impact where you can work once you have completed your training. The AGPT program enables you to achieve a GP fellowship. The program structure differs depending on the GP fellowship you’re completing. In addition to placements, learning for all fellowships is provided via face-to-face contact with medical educators and online education. How long is the AGPT training program? The GP training program involves a three- or four-year full-time commitment, depending on the fellowship (or fellowships) you complete. The four year program is for registrars completing a Fellowship of the Australian College of Rural and Remote Medicine (FACRRM) or a Fellowship of Advanced Rural General Practice (FARGP). However, this may be reduced with recognition of prior learning (RPL). You can also undertake the program on a part-time basis. A minimum of 14.5 hours of training in any location. If you work in two locations, you must do a minimum of 14.5 hours each week in each clinic. Work sessions of less than three consecutive hours, or less than one month, are excluded from both full-time and part-time training and therefore cannot be undertaken as part of AGPT and cannot be done with a Medicare Provider Number available through AGPT. If you are working towards both an RACGP fellowship and an ACRRM fellowship, the training time requirements of both colleges must be met concurrently at all times. For example, if you complete 27 hours of training, the ACRRM requirement would deem that this was half-time training toward both colleges. During training, registrars usually acquire practical experience in different training locations. These include large teaching hospitals, general practices and small rural hospitals, and Aboriginal Medical Services. All training is conducted within accredited medical practices and hospitals and is supervised and assessed by accredited GPs. Explore our training region to find out about our districts, towns, training hospitals and general practices. To become a GP in Australia, you will need to complete a paediatric requirement and a number of mandatory hospital rotations during your training. These include medicine, emergency medicine and surgery. There are different ways you can meet the paediatric requirement. If you wish to gain Fellowship of RACGP, you will also need to complete a minimum of three elective rotations deemed relevant to general practice. If you wish to gain Fellowship of ACRRM, you will also need to complete rotations in obstetrics and gynaecology, and anaesthetics. Visit our page on prerequisite training to find out more about mandatory hospital rotations and the paediatric requirement. Most of our training occurs via interactive practice-based teaching and experience. This involves ‘patient stimulated learning’, where registrars have direct contact with patients. It also involves ‘in-practice teaching’ where you learn from talking to, watching and interacting with your GP supervisor. This also includes formal pre-planned activities, such as tutorials taught by your GP supervisor or other staff. For each part of your training and according to the fellowship you seek, there are a number of requirements you must meet regarding the amount and type of your in-practice teaching. As a registrar of GPTQ, you will receive our full support and resources to ensure you’re on the right track to meet the requirements to achieve Fellowship. Find out more about our training support. During your training, you will be able to pursue your clinical interests with specialised training posts. We also support and encourage registrars to pursue their academic interests with an academic post. Who teaches the AGPT program? At GPTQ, we have a team of passionate and highly experienced GPs who deliver hands-on training and theoretical education. Find out more about our medical educators and GP supervisors. What happens when I complete the training program? When you successfully complete the AGPT program via either the General Pathway or Rural Pathway, and successfully complete the exams and assessments administered by the colleges, you become eligible for Fellowship of one or both GP colleges: The Royal Australian College of General Practitioners (RACGP) and/or the Australian College of Rural and Remote Medicine (ACRRM). You may complete fellowships at both colleges. RACGP offers two fellowships. 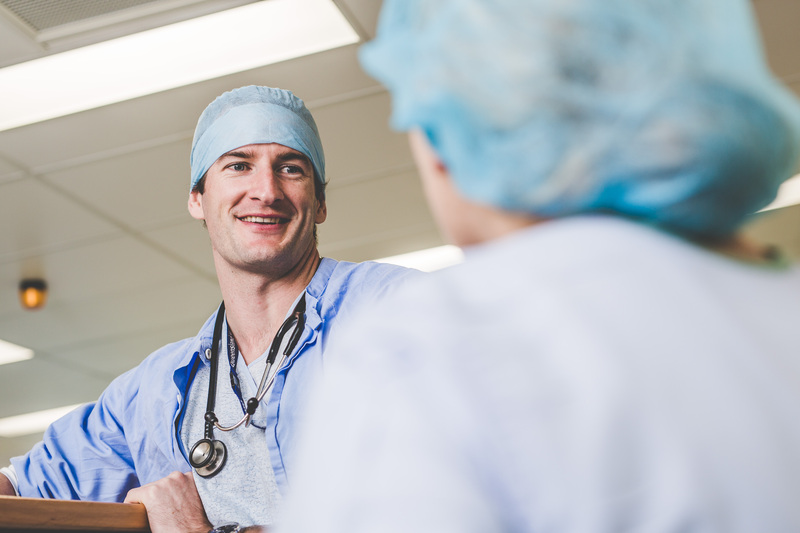 Registrars can choose the standard FRACGP, which is a three-year program, or may undertake a four-year program to achieve both FRACGP and Fellowship in Advanced Rural General Practice (FARGP). Achieving FACRRM or FRACGP or FRACGP and FRACGP leads to general practitioner registration and the ability to work independently as a GP anywhere in Australia. Find out more about fellowships here. There are other ways to gain GP fellowship outside of AGPT’s training program. We do not offer these programs. The Remote Vocational Training Scheme is for doctors working in Aboriginal and Torres Strait Islander communities and remote and isolated communities. It is a distance learning and remote supervision pathway. Doctors with a lot of experience can select an independent pathway via ACRRM, which allows for recognition of the skills and knowledge built up over time to be recognised in lieu of dedicated vocational training. RACGP also offers two alternatives to AGPT: the Specialist Pathway Program (SPP) and the General Practice Experience (GPE) pathway.